I had some fresh methi too, so I used in the recipe but adding methi is purely optional. 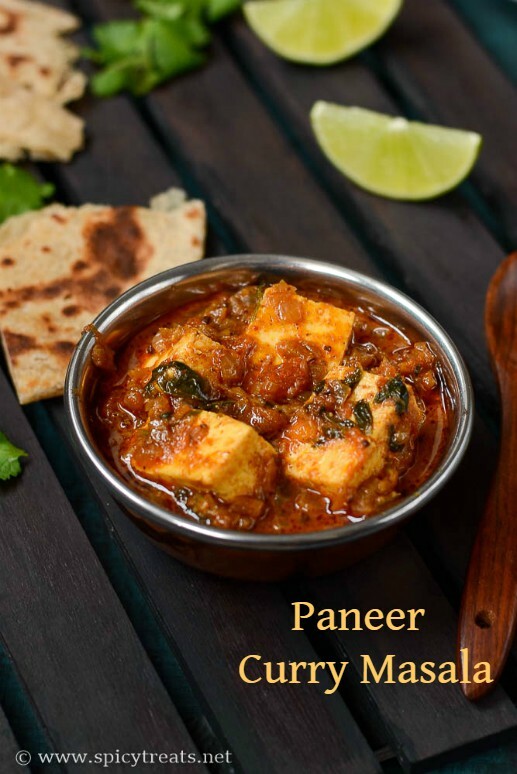 This is a quick paneer recipe that pairs well with rotis, Pulao, Jeera Rice, Paratha or with Dosa too. 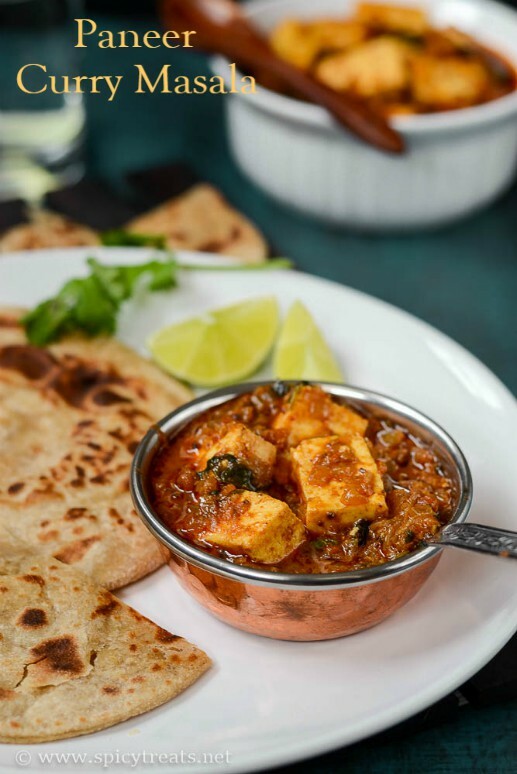 The most important thing to note is, saute onions nicely until it turns very soft and golden brown, if not the curry texture will be different and will not give good quantity. First grind clove and cinnamon to a fine powder and keep aside. 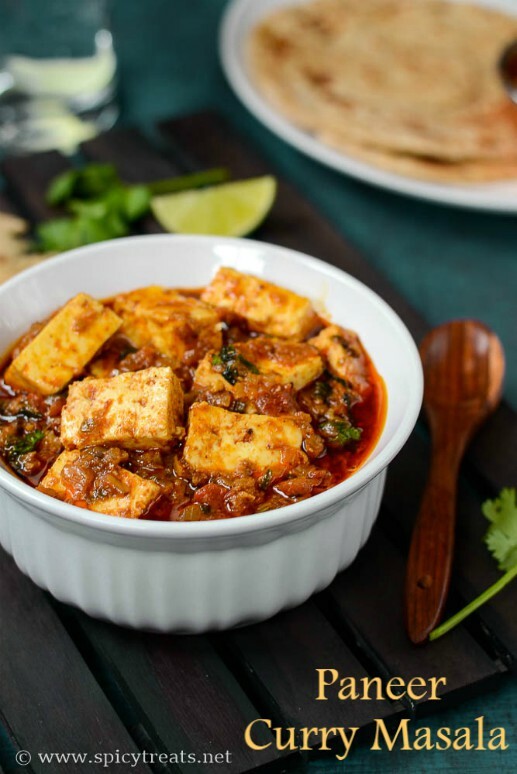 Chop onion, tomato finely and keep aside and cut paneer to desired size and shape and keep it in a bowl with warm water. After that add tomato, sprinkle little sugar and stir well and cover the pan with lid and cook for 2 minutes. After that open the lid, stir the onion-tomato masala and now add turmeric powder, tomato ketchup, chilli powder, curry masala powder and stir everything well and cook for a minute. Then add chopped fresh methi leaves and stir fry for a minute and add 1/2 cup water and bring it to boil. 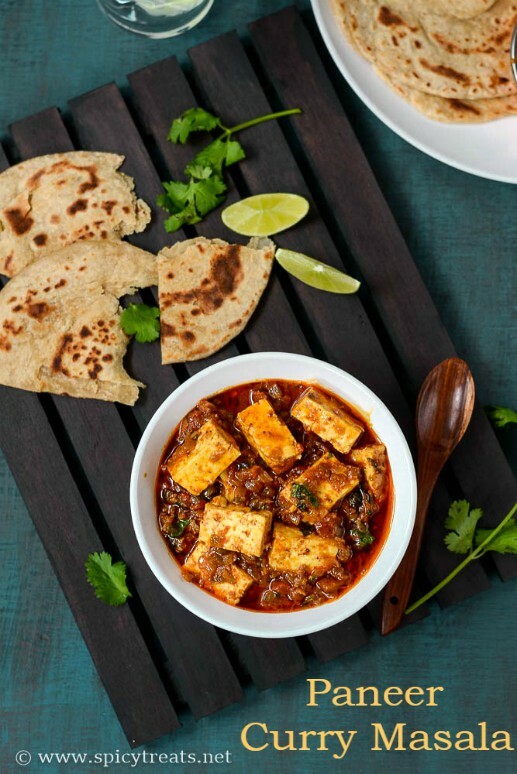 Once it starts boiling, add the cut paneer pieces and another 1/2-3/4 cup water and boil well another 3 minutes. Lastly add some finely chopped cilantro and simmer for a minute and switch off the stove. That's it..Spicy Paneer Curry Masala ready. Serve hot with Phulka or Paratha or with Pulao. Instead of ginger garlic paste, 1 used 2 garlic cloves & 1" ginger pieces crushed finely in a pestle and mortar and used it in the recipe. No need to dry roast clove and cinnamon before grinding, but if you want you can dry roast it in a medium heat for few seconds and grind it to a fine powder. If you don't have fresh methi, then skip it and use dried methi or kasoori methi. If so, add kasoori methi along with paneer in the last and cook. 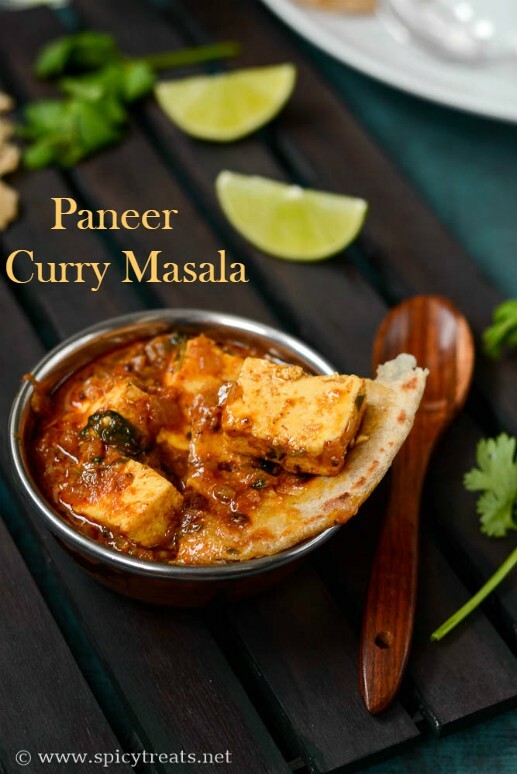 *Curry Masala Powder- You can use any brand or even skip it or replace it with 1/4 tsp garam masala powder, i used homemade powder. First splutter ground clove-cinnamon powder, then ginger garlic paste..
Add onions, saute nicely until it turns golden brown, do not burn the onions..stir it well for every 1-2 minutes. Mix everything well and cook for a minute. then add 1/2 cup water and bring it to boil. Lastly add paneer and cook for another 3 minutes. Thats' it.